The Importance of Risk Management | Atlas Capital Management Corp. Investing without a proper risk-managed investment strategy could be compared to owning a home but choosing not to insure it against fire. Is that a risk you are willing to take? Investors need strategies that minimize losses in down markets and allow them to participate in up markets. By taking an active approach to investment management, Atlas Capital strives to take advantage of market upturns and asset classes that are performing well while minimizing destructive losses from bear markets and normal investment cycles. Most investors fail to realize how difficult and time consuming it is to recover from market losses. At Atlas Capital, we recognize that one of our most effective tools to improve portfolio performance is active management to minimize losses. Even if your account is up 8% for three years running, one 25% decline takes your four-year average annual compund return down to an annual loss of 1.4%. 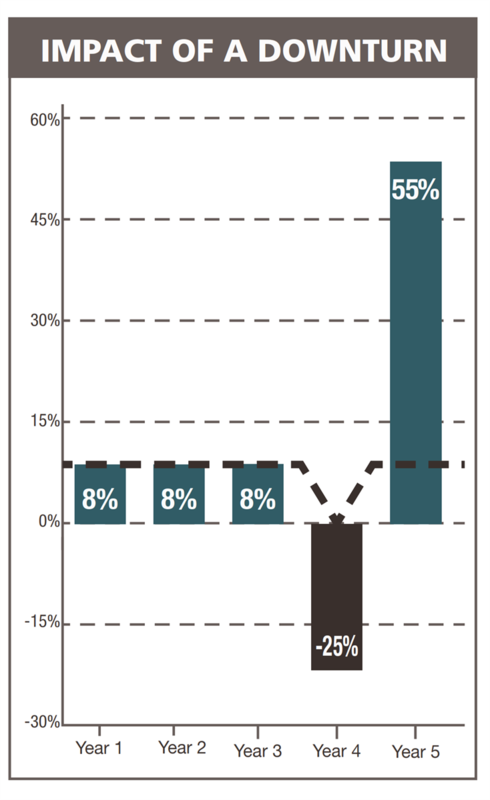 To get back to an 8% average annual compound return you would need a gain of 55% in year 5. 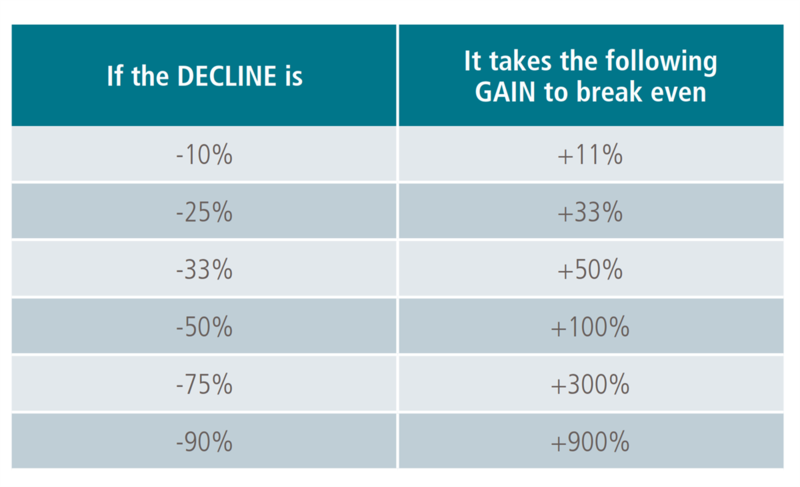 The S&P 500 has never experienced a 55% annual gain. Equally important, by minimizing losses in market downturns, Atlas Capital Management strategies are designed to help individuals stay committed to their investment portfolios for the long term. Can Investors afford to lose another 13 years? Financial markets are considerably more volatile than the popular investment theories admit. While the long-term trend has been up, there have been lengthy periods when financial markets have suffered significant declines. The thirteen years from 2000 through 2012 were a time of lost opportunity for buy- and-hold investors. The S&P 500 ended the long painful years still below its highs at the beginning of 2000. Yet there were times during those years when the market made substantial progress, only to have the next decline erode away any profits. Atlas Capital’s goal is to participate in market up moves and preserve capital in market downturns, avoiding years of lost opportunities. Passive asset allocation often fails to protect portfolios in severe market declines when selling pressure results in diverse asset classes moving downward in unison. Without the ability to react to changing market conditions, investors can take years to recover from a down market.